Prevents roosting on hanging poultry feeders and helps keep feed dry. For use with Little Giant 12-Lb., 30-Lb. and 40-Lb. 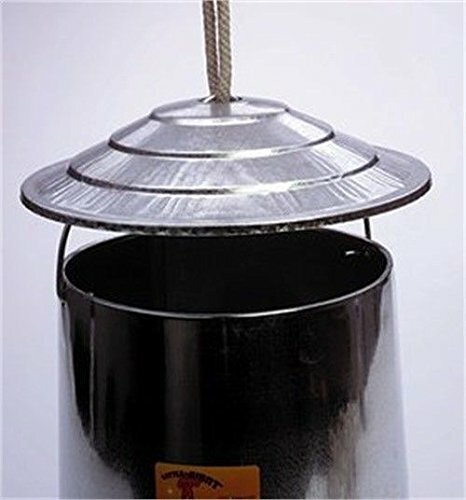 Hanging Poultry Feeders (Item Nos. 9112, 91403 and 914273, each sold separately). Constructed of heavy-gauge galvanized steel for many years of service, with rolled edges for safety. 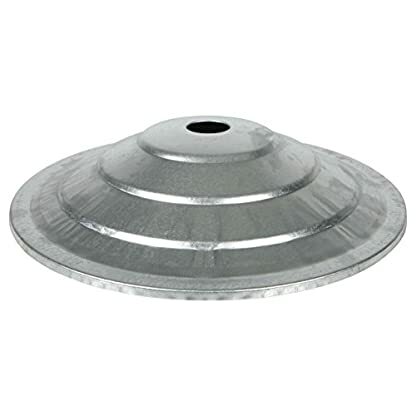 Feeder must be suspended in order to attach this cover. 11.5 inch diameter by 2.25 inch high.